The basic facts of this play are well known. The play is set in Verona, Italy. The Montague and Capulet families are involved in a family feud. The Prince of Verona intervenes to bring peace between the families and the first to break that peace will be punished by death. Romeo Montague is in a depressed state over the unrequited love of a young woman named Rosaline. When the Juliet's family, the Capulets, throw a ball, Romeo sneaks in hoping to meet with Rosaline. Instead he meets and falls in love with Juliet. Then the complications arise. 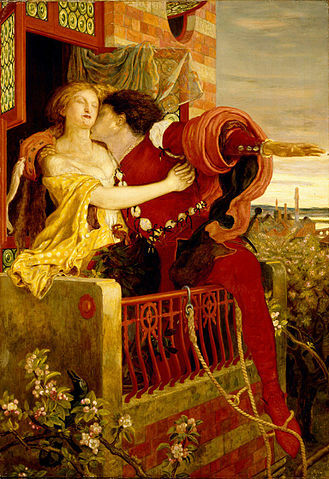 Romeo and Juliet are married in secret . . . the day after they meet! Beautiful tyrant, feind angelical, dove feather raven, wolvish-ravening lamb!